Welcome to the place where using an easy-to-use Telegram bot you can make a profit from your cryptocurrencies. 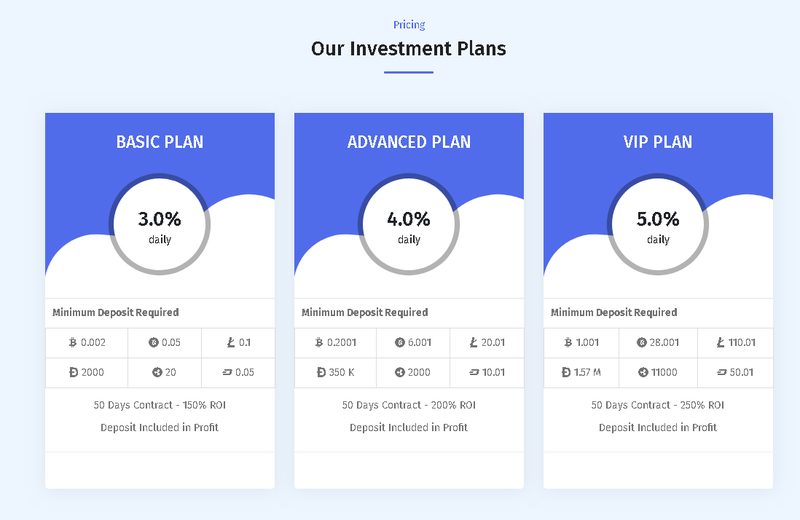 We offer you 3 investment plans with 6 different cryptocurrencies You can invest using: Bitcon, Bitcoin Cash, Litecoin, Doge, Ripple and Dash. We are a company registered in Republic of Panama, operating remotely with prominent experts who help us manage the risks associated with our investments. We focus on trade, exchange, and cryptocurrency arbitrage. The business activity of our company consists in the broadly understood circulation of cryptocurrencies. In 2019, we have so many opportunities for exchange, trade and earnings on cryptocurrencies, that the appropriate involvement of people with knowledge and experience allows us to achieve the results that we offer you in our investment plans. $7.82 has been successfully sent to my Bitcoin account 1PHUTmfw1SCtA7ePhxb6Efxd9SbMFFpsCd.